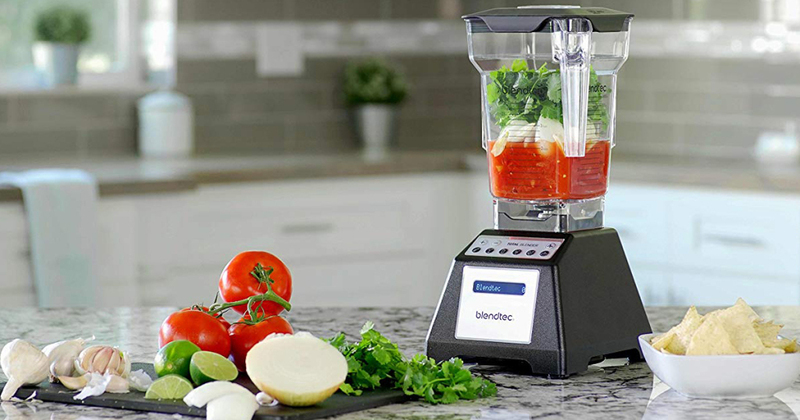 Today, September 7th only, head over to Amazon where you can grab this Blendtec Total Blender Classic with FourSide Jar for just $179.95 shipped. This versatile blender includes a FourSide Jar and a wing-tipped blade that work together to create perfectly smooth soups, smoothies, nut butters, sorbets, fresh baby food and much more! It also features one-touch pre-programmed settings to ensure that recipes turn out perfectly every time, a touch-pad screen for easy clean-up and auto-shutoff. Even sweeter, it comes with an 8-year comprehensive warranty!